Octavian is a boat accessible salt water dive site, located in Cape May, NJ. The maximum depth is over 150ft/46m. The average visibility is 26-30ft/8-9m. 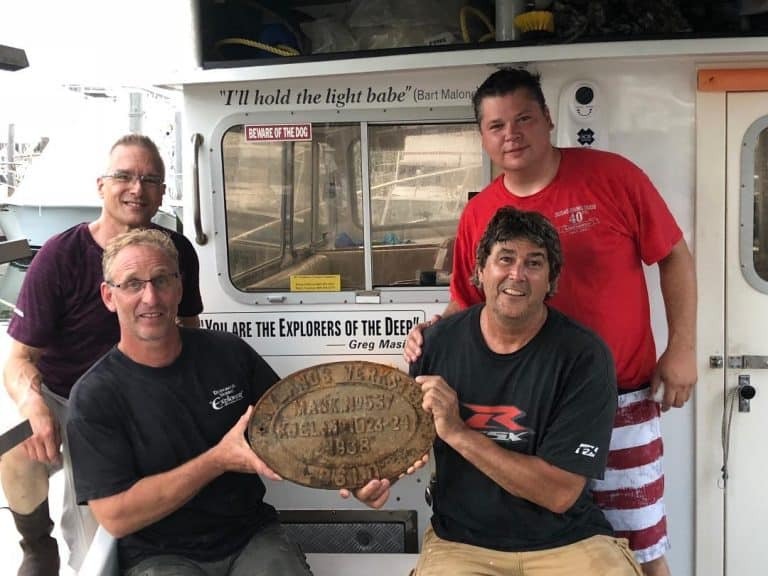 Rustin Cassway and buddy Brian Sullivan were diving about 70 miles out from Cape May on 4 July when they came across what they later identified as the Norwegian steamship Octavian. Interested to see what it was, they drove 227 feet down to investigate. Not knowing the history of the ship they decided to retrieve the Engine & Boiler builders plaque. The ship was identified as D/S Octavian which was a 250 foot long Norwegian Freighter carrying Sulfur and Wood Resin. Captain Jens Dahl, 15 Norwegian and 1 Canadian crewmen died when the ship was torpedoed while sailing north from Galveston, Texas, with a cargo of sulphur and wood resin. Octavian was reported missing on 16 January, 1942. The sinking had previously been thought to have occurred near Octavian’s destination, St John’s in Newfoundland, Canada, and to have been the result of an attack by U-203. The flaw in this theory, however, was that it put the Octavian north of its planned route. Now it’s believed that the ship was one of the many victims of U-123, which had logged the sinking of an unidentified cargo ship on 17 January, 1942, near where the divers found the wreck.